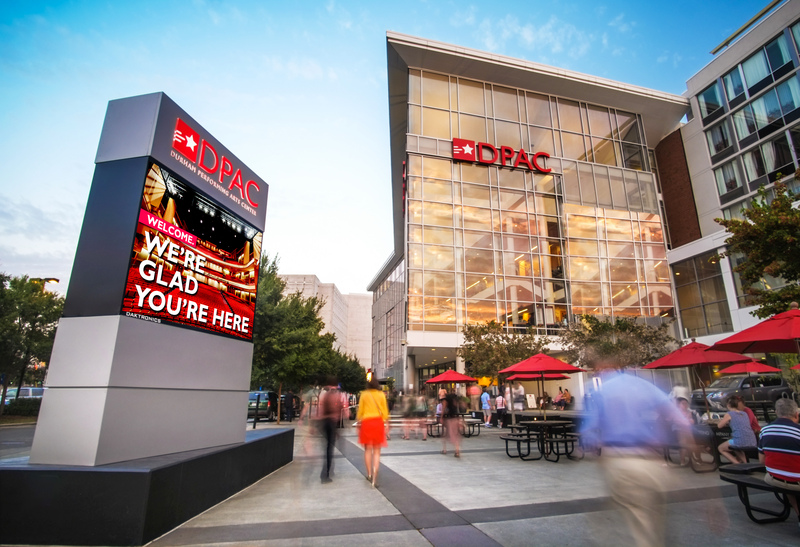 With a mission of presenting one-of a-kind live entertainment events, DPAC truly has something for everyone, hosting over 180 performances a year, including spectacular touring Broadway productions, high-profile concert and comedy events, family shows, and the heralded American Dance Festival. 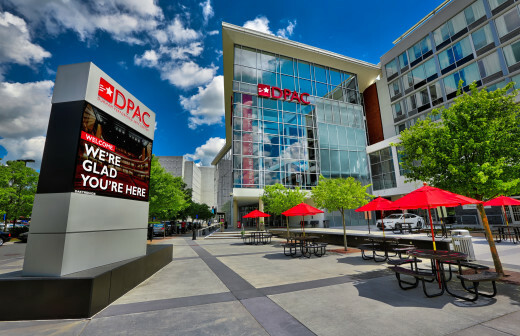 Owned by the City of Durham and operated under the direction of Nederlander and Professional Facilities Management (PFM), DPAC has been listed three consecutive years as the number one performing arts organization in the region by the Triangle Business Journal. 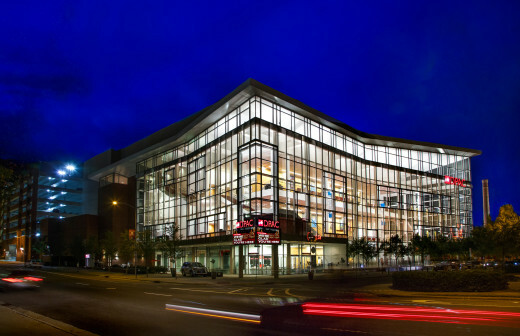 Backstage tours are held on the first Monday of each Monday at 11am per availability. Must reserve in advance. Business Hours: Varies per performance schedule. Scheduling Policy: Prefers 2 weeks in advance, according to performance schedule. 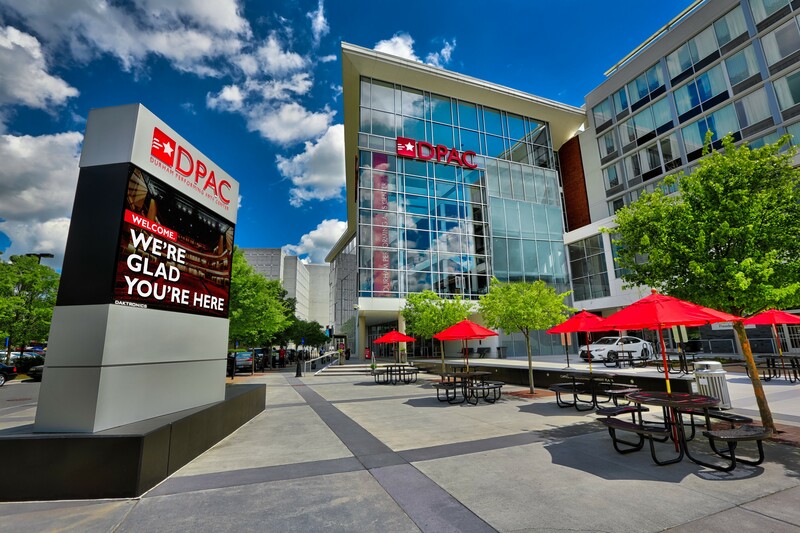 Description: DPAC is a state-of-the-art, full-service event facility that is ready to host your next event. Whether you need a home for a reception, meeting, conference, new product launch or other special event, our staff has the experience, skills, and customer-driven philosophy to make your production a smash success. We’ll assist you with everything needed for a great event including catering services, audio/visual equipment, room set up designs, and any other request that will help make your next event an outstanding one. We also have access to specially qualified vendors that can provide special themed decorations, flowers, ice sculptures, and superstar entertainment. Featuring 38 performances by 25 companies and choreographers in 5 different venues.